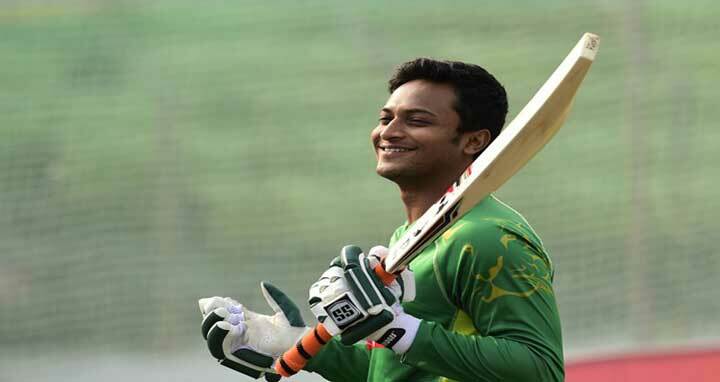 Dhaka, 15 Mar, Abnews: Bangladesh all-rounder Shakib Al Hasan was scheduled to join the Bangladesh squad on Thursday to play the must-win game against hosts Sri Lanka on Friday. If the things remain unchangeable, Shakib might play the virtual semi-final match against the islanders on 16 March, according to the officials of the Bangladesh team. The Tigers, despite their hard-fought loss to India on Wednesday, have a chance to make it to the finals if they get a win against the hosts Sri Lanka. BCB press said that Shakib has recovered from his injury which had benched him at the Test and T20 series at home. Initially, Shakib was included in the squad for the Nidahas Trophy but his slow recovery made the selectors sit out on the risk.